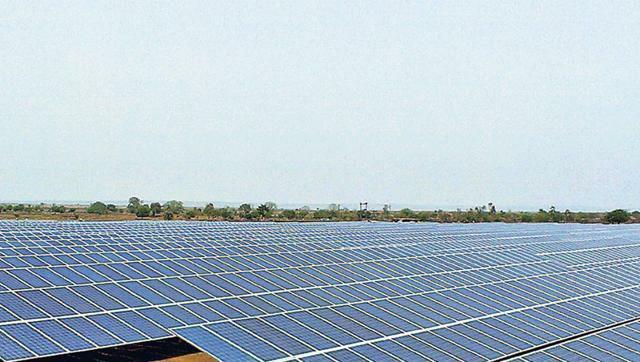 Authorities at Indore central and district jails have gone environment-friendly with their twin measures of water conservation and use of solar energy to tackle water crisis and reduce electricity bills. Under the drive, the jail administration has directed officials and inmates to avoid drawing groundwater for daily use and instead, re-use sewage water for irrigating lawns inside the jail premise. Sources say both the district and the central jails have saved 10% of power after lighting the barracks and prison campus via solar power. Indore central and the district jail house of more than 2200 and 700 jail inmates respectively. Presently Central jail fulfils its requirements with the help of five tubewells, while district jail have four tubewells. Indore central jail superintendent Dinesh Nargave said, “The jail has enough water for over 2,200 inmates, but we want them to adopt water conservation. We have diverted water flow from each trench here towards two wells on the campus. This will help recharge groundwater.” The jail has five tubewells. Inmates at the district jail have already switched over from groundwater to sewage water to irrigate a farm and grow vegetables that gave a turnover of Rs 1.03 lakh this year. “Before this, thousands of litres of used water were drained without further use. We aim to surpass the turnover target in the next year,” said Indore district jail superintendent Ranjeet Singh Bhatti. “At Central Jail, where total power consumption is around 100 kilowatt, we have installed a solar energy system of 10 kilowatt capacity. At the district jail, we have a system of three kilowatt capacity. At both jails, we have managed to cut power consumption by 10% using solar power. We would like to increase this upto 15% as installation of another five kilowatt solar energy system is going on at central jail” Pandey said.